cute golden retriever wallpaper. . HD Wallpaper and background images in the Dogs club tagged: cute dog golden retrevier adorable. This Dogs photo might contain golden retriever, great pyrenees, and kuvasz. 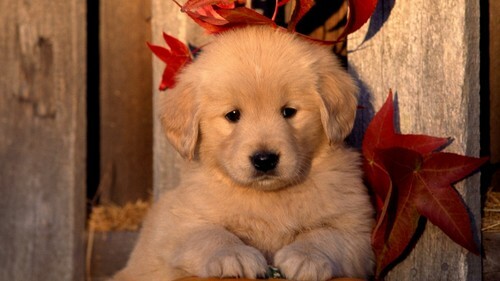 I always get golden retrievers and yellow labs mixed up - I know one has the short hair and the other has the longer hair - but they are both very cute - even more cuter when they are puppies.